A man newly listed in the police’s drug watch list was arrested through an anti-drug operation in Tagbilaran City on Monday afternoon. 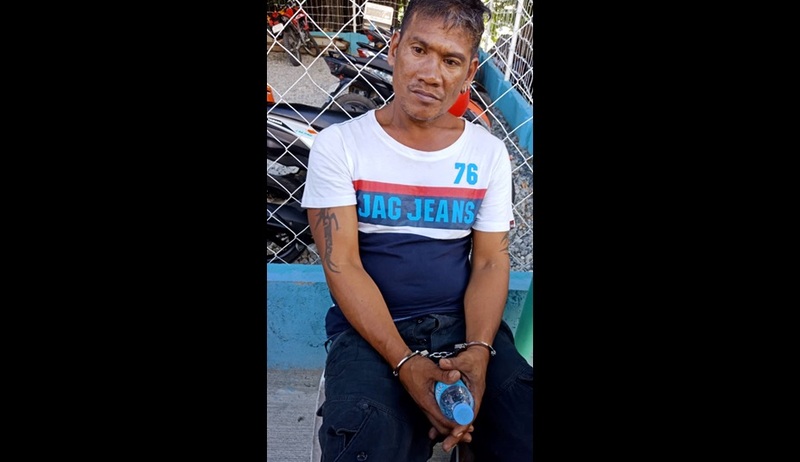 The apprehended suspect, identified as Jose Mari Bendolo, 41, of Barangay Poblacion II in Tagbilaran City was allegedly caught in possession of shabu worth P88,400. Police said that Bendolo was spotted selling shabu across the Lite Port Center along Gallares Street. Operatives then subjected Bendolo to a drug buy-bust operation. Bendolo allegedly sold shabu worth P500 to a poseur-buyer leading to his immediate arrest. Police also allegedly seized from Bendolo 10 packets of shabu with an estimated weight of 13 grams.